Weather: 12, grey & cloudy, a shy sun. Very heavy rain towards the end of the day. 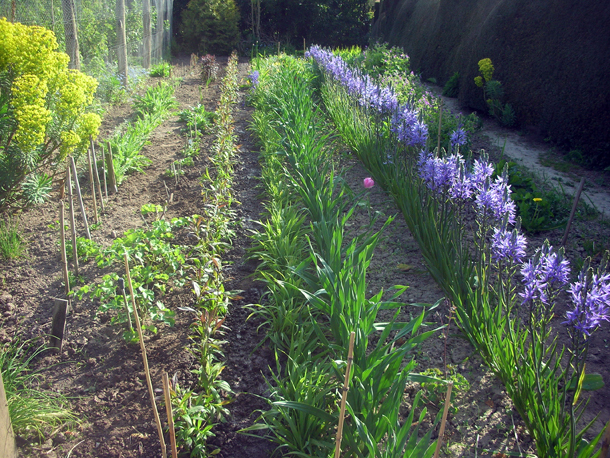 One of our gardeners Rachael also manages her own garden in Challock, Kent. 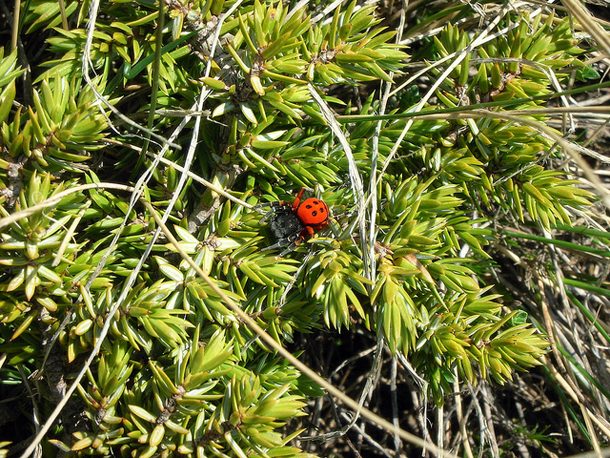 She has been employed there primarily to help brighten up the borders. It is a lot bigger than Dixter and as she is the sole skilled gardener there, and has not been there for long with a lot to do, a few of us gardeners went to help her out. Also it is good for us to experience working in different gardens. We helped her clear one of the bed near a pond so that she can properly plant it up to increase interest. 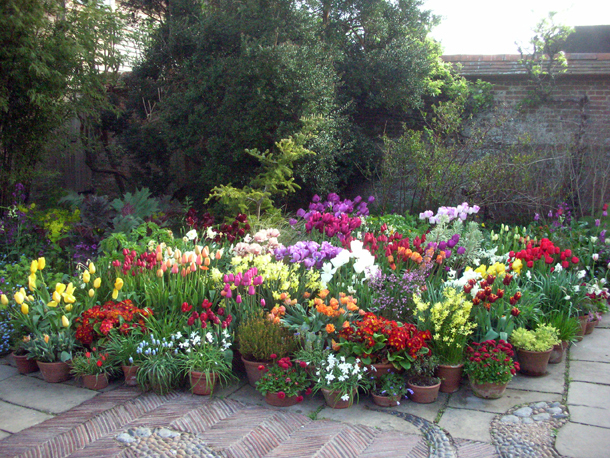 We took out spent Narcissus & Tulipa bulbs & a type of Geranium that has spread itself around extensively. The task was not so straightforward as every inch was riddled with ground elder (Aegopodium podagraria), bindweed (Convolvulus) and Enchanter's nightshade (Circaea lutetiana). The soil was also very compacted clay with large flint stones in. 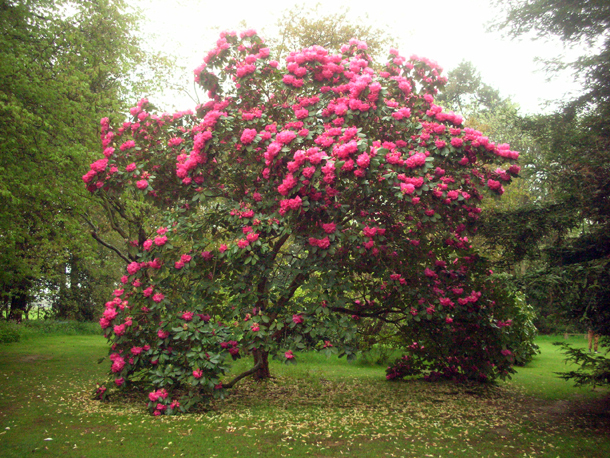 There are impressive specimen trees including big trailing rhododendrons like this one. They also have a large collection of hydrangeas which I came to help prune some of earlier in the year. 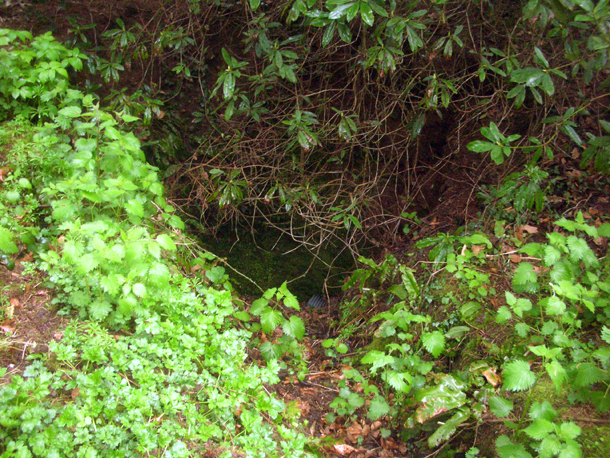 The garden curiously has many big holes, maybe it was once a quarry. There are good and reliable plants that we have tried and tested at Dixter and constantly new ones that we try out every year. It is good for me to get familiar with what we have in stock, as spring bedding changes over it is an advantage for me to know what we have to play with. 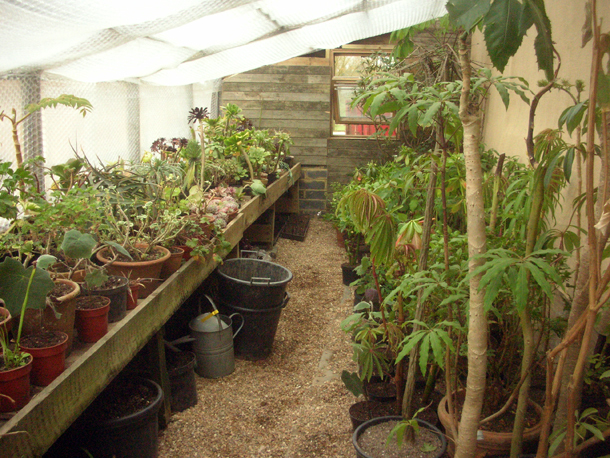 Like the nursery, we buy in plants but propagate many of them ourselves too. 2. Echium vulgare 'Blue Bedder' - classic borage like leaves, especially the raspy sound when rubbing it. 3. 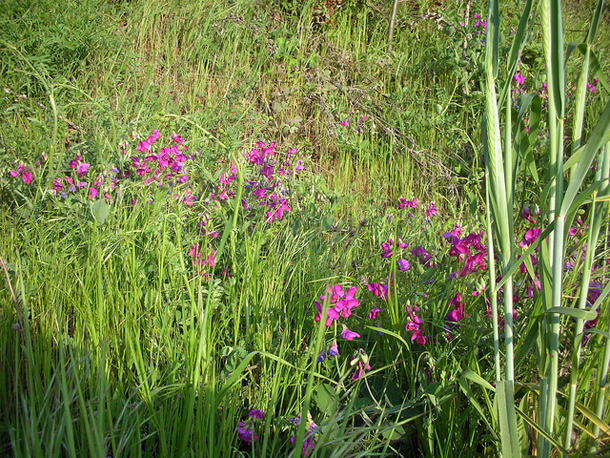 Lathryrus latiflorus 'Albus' - the everlasting sweet pea. 5. Glaucium flavum (Papaveraceae) aka Yellow Horned Poppy. It's a summer flowering papaver that is yellow and has a talon like seed cap. These are to be seen flowering wild in Dungeness nearby. 6. Erigeron annus our popular tall fleabane daisy that we thread through the garden often. 7. Lychnis deltoides is the florister's carnation and produces bright pink flowers which is a great contrast to the darker leaves. 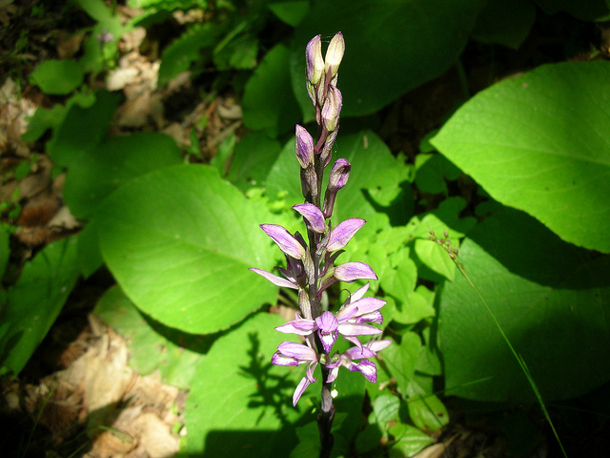 It is part of the Carophyllaceae family and characteristic of this family is that it has swollen nodes. 8. Grindelia robusta (Asteraceae family) aka Great Valley Gum will have yellow flowers. A plant that has many interesting medicinal uses from a sedative to treating people who have been affected by poison ivy. 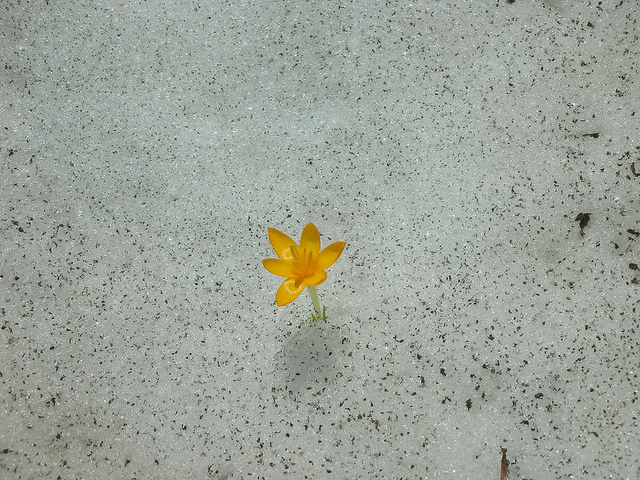 Dyes has also been obtained from its flowers and seeds. 9. Ammi majus - another tall umbellifer that appears regularly in the Dixter palette. 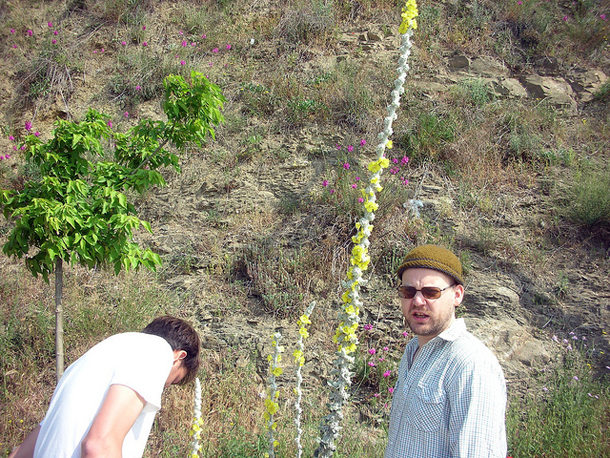 It has light dome-like flowers. 10. And last but not least Lagurus ovatus - the bunny tail grass, a great shot of green when it is still very cold in early spring. Weather - Rain in the morning. Petered out by the afternoon, sunshine, wind picked up. 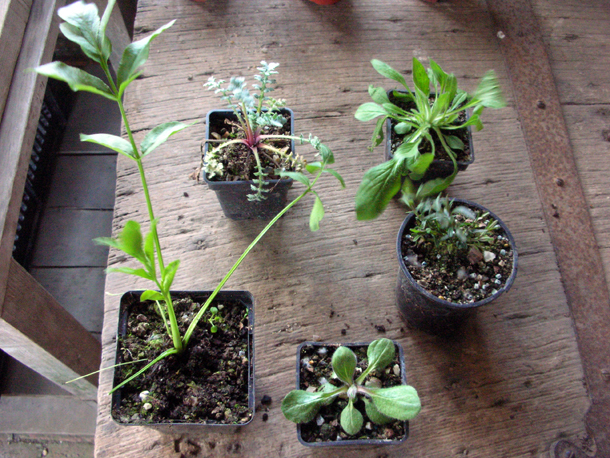 I repotted rooted cuttings of different salvias, which included S. microphylla 'Cerro potosi', S. darcyi, S. Leucantha. Weather: Up to 12 - 13°C but windy though and very changeable weather, spots of rain at one point. I refreshed the pot displays, took out dead ones & deadheaded some of them. Then I rearranged them and added new plants. 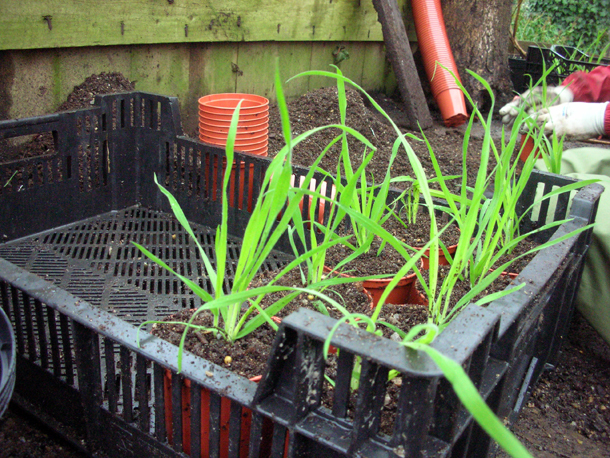 It only seemed like yesterday that I was sorting out the bulbs and we were putting them in pots, waiting for them to grow. Now they are passing over already. Tips that I learnt is to place the pots in order of height gradually, any sudden contrasts of this made the display look quite odd, and that it's good to have a lot of smaller ones skirting the foot of it. 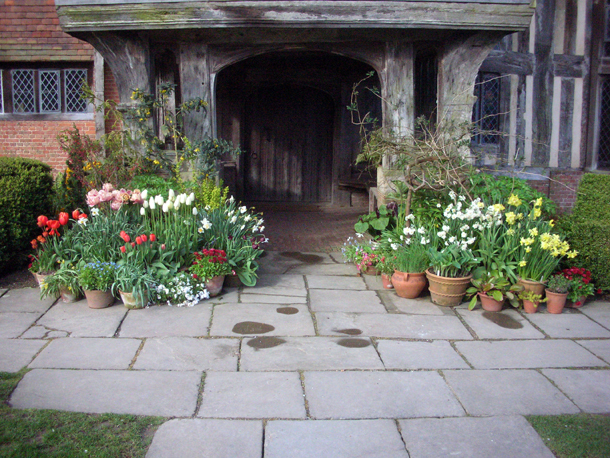 Pots display in the walled garden, earlier this spring, they really enhanced the tulips 'Yellow Purissima' next in the bed next to it, like an extension of the bed. 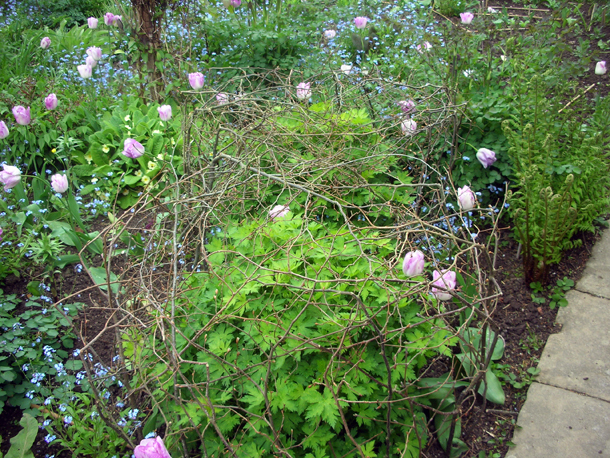 We made structures out of peasticks to help support and control the growth of Geranium 'Roxanne', some Alstromerias in the Walled Garden, then a Clematis recta 'Purpurea' in the High Garden. 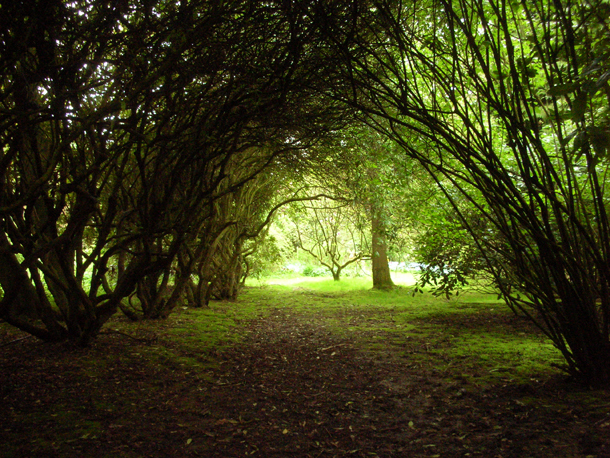 Peasticks are thin wiry branches that we cut from our woods, which is mainly hazel & alder. They can probably be a by product of coppicing also. Goods ones are ones with lots of lateral branches. The sides of the structure is the most important and that it is where it will support the plant the best. For things like geraniums if they are close to the path, we lattice that side more heavily with peasticks, as they have a very vigourous spreading habit. The plants will eventually grow through the structure and you won't be able to see, though it will still be doing its job. 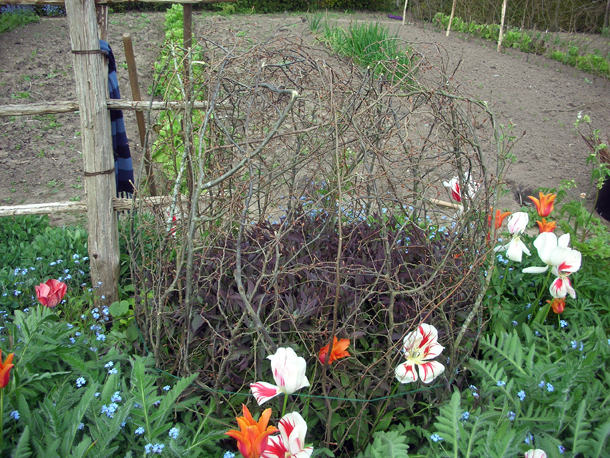 Pea stick cage around the clematis. Weather: Windy, cold (around 11 - 12°C). The sun came out at intervals though and that helped keep us a bit warmer. I potted up some Dahlia 'Witteman's Superba' from the hot house & placed them in Mike's cooler greenhouse (from 13°C to 8°C. Then I did some planting in the Orchard Garden - we dug up & swapped Phlox 'Blue Paradise' with 'Uspekh' and topped up a special Dixter strain of campanulas originally discovered in the Orchard Garden. Then we lined out and planted a row of Aster latiflorus var. horizontalis in the vegetable garden. which brings with it a sluice of rubbish & badly built buildings. scarab beetle (Scarabaeus sacer) actually rolling a ball of dung. Some of our best sightings were on the roadside. 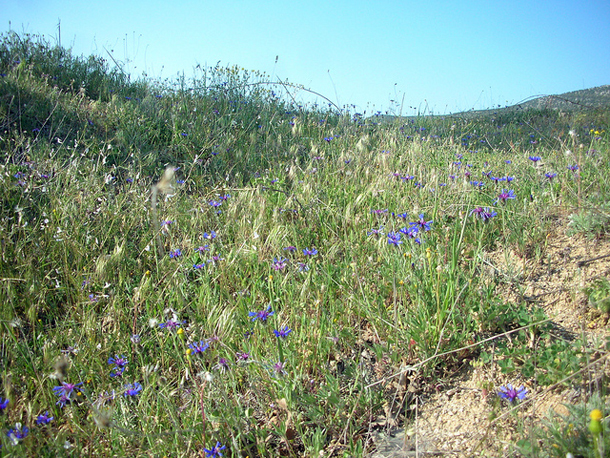 Wild Centaurea montana near grazed land. Some areas were like readymade gardens, we saw sites with perfect clumps of white & purple Cistus, Lavandula stoechas, amazing array of grasses like Briza maxima and Oryzopsis. 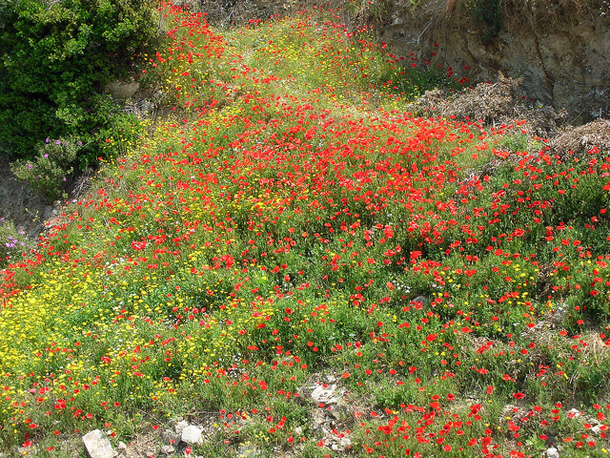 This slope was mainly made up of poppies and Chrysanthemum segetum. a two tone one that was like Lathryrus odoratus but without a scent. 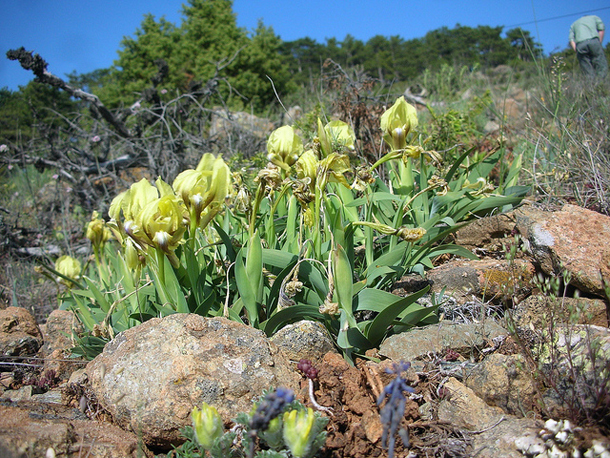 An Iris that we think might be Iris danfordiae native to Turkey. One of my favourite random roadside stops was one the one that was the most diverse (it was also one of the rockiest and of thin soil), filled with tall self sowing bright magenta Antirrhinum, Campanula, Salvia clarea, Scabious and many plants that we couldn't name but documented and admired, and the one that got us all excited and determined us to stop in the first place - the wonderfully tall, silvery and extra fluffy Verbascum bombyciferum, one part of the Dixter perennial cultivar - Christo's Yellow Lightning, just starting to flower. Weather: Hot! Started at 11°C and went up to 14°C, some said even to 20°C. Definitely a sunscreen and t'shirts day. that the weather is warmer. There's a big upheaval in the greenhouses, as we are moving things on and out. From taking cannas & dahlias out of the cellar and making a record of them, we check to see what we have a shortage of. Dahlia 'Witteman's Superba' for example is an important one for us, so I do more cuttings and split bulbs of these where I can. Then I positioned them all together on the heat bench to move them on faster. I also found some beneath the hot house benches. I cleared the cold house, discarding any dead plants/ non-survivors. Geranium maderense were taken out - they are ready for outdoor pots now, and I reorganised the space as some of the hothouse plants will be brought in here. 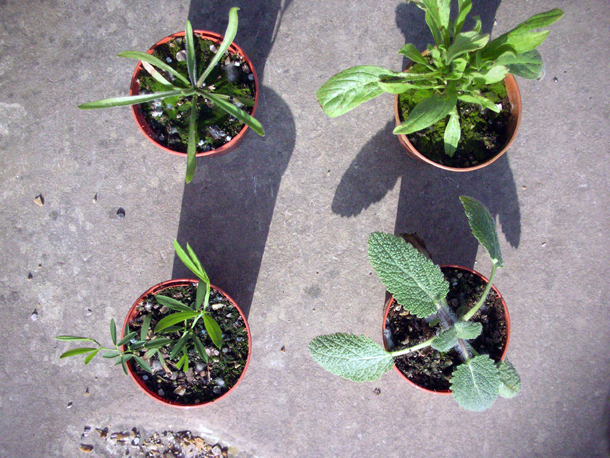 I also pricked out some rooted Salvia confertiflora cuttings and split some Salvia leucantha, potting them all up. Weather: Overcast, it was suppose to go to 12°C but felt cooler again. Coroten came back to visit for a week and I had his very helpful assistance for the day. Now that it is warmer we took out plants from the hothouse to put into the cold house - some of our Salvia confertiflora stock (about 10), some Impatiens bicaudata, Lobelia, Begonia luxurians, Impatiens sodenii, Senecio petasites, Tagetes 'Martin's Mutant', especially plants that needed more height. They were all repotted. We are now giving them more room so that they can grow properly instead of just being stored. We keep a safety supply of some of the more tender ones in the hothouse. I did some cuttings of Impatiens sodenii that I trimmed and started tidying the hothouse too. Weather: Hot, a bit misty to start with, but before long it started to feel like a proper summer's day. The garden is now moving on fast, it might have moved two weeks forward again, as it was delayed by about a month from our prolonged winter. Up to 18°C today! We split precious stock of Seteria palmifolia (we have a very good form of it). Split & repotted Cyperus papyrus and a lemon grass (Cymbopogon) by accident! And placed them on the heat bench. We moved out succulents & cactii from the coldhouse to put under a sheltered spot nearby, a fleece was later placed there on standby in case of sudden frost still. Benches & areas emptied were quickly refilled with repotted and cleaned up begonias, Senecio petasites & christiana, also more tagetes, restios, Tibouchina urvilleana and Amicia zygomeris. 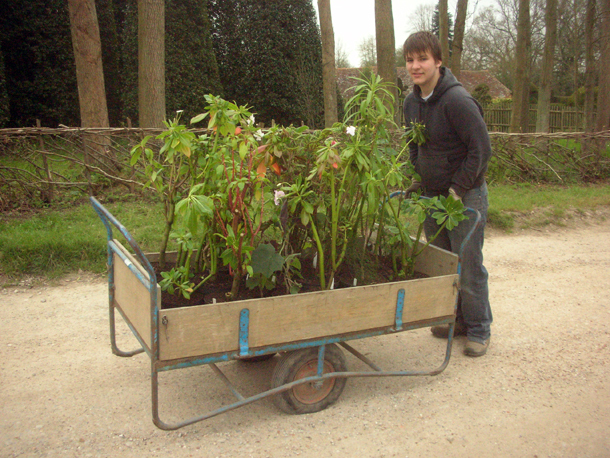 We repotted some Emory Paul dahlias for a Wisley trial. A couple of pots of Eupatorium capillifolium pricked out. Then both the cold and hot houses were watered thoroughly and tidied up more. I had the amazing efficient help of veteran volunteers Cornelia & Frank - who definitely kept me on my toes and helped get the job done. 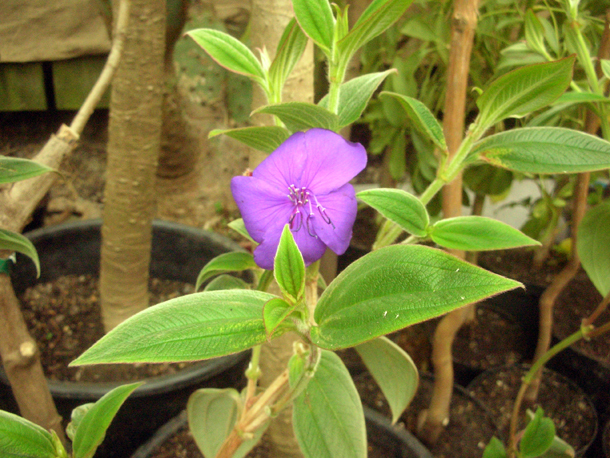 Tibouchina in flower in the greenhouse. Weather: Cold and overcast again - about 11°C. Now that there was more space in the hothouse I reorganised the stock of Begonia luxurians - including repotting and gave them more space to grow, putting a small underlayer of plants beneath them like ferns & impatiens, that wouldn't get in the way and would approve of a little shade. Work has been started on the space underneath the benches now, things that have been lying in partial darkness are being brought out into the light. 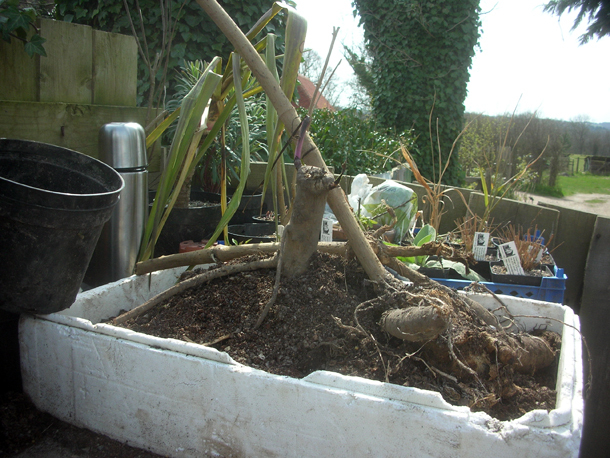 All the Colocasia & Arisaema were removed from underneath and given a good change of soil. Weather: Went up to 12°C. Sunny but cold winds and dark skies at intervals. I finished clearing and organising underneath the benches of the hothouse - throwing anything out that was dead and repotted more Arisaema and did more cuttings of Dahlia 'Witteman's Superba' & 'Hillcrest Royal'. Helped weed the Peacock Garden. A tale of two halves in the Peacock Garden - light & airy with white purpley Tulipa 'Shirley' on one side and sizzling lime green Smyrnium and hot pink tulips on another. Weather: Up to 11-12 °C again. A cold wind pervails, but there is sun and it is a bit warmer in it. 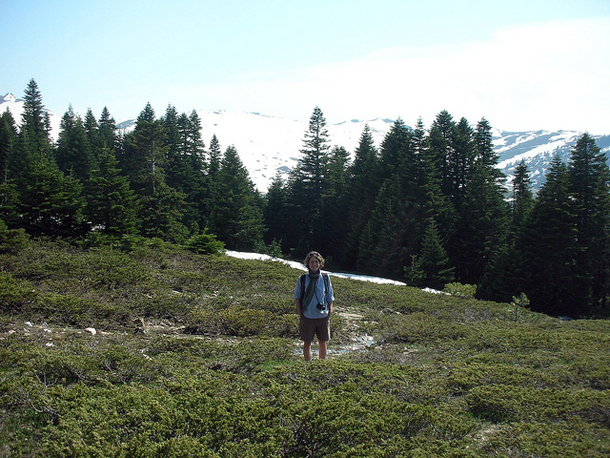 But later the wind picks up even more and the temperature drops down to 5 - 6°C at night. Continued in the Peacock Garden weeding & doing some planting, boosting the numbers of Perovskia atriplicifolia & Rudbeckia already in there. I also started making a cage out of pea sticks to support the alstroemerias - I will expand on this process in a later post. Weather: Up to 9°C, cloudy for most of the day and windy. Weather: 9 - 11°C. Sunny but really strong winds. I'm back in the garden now. 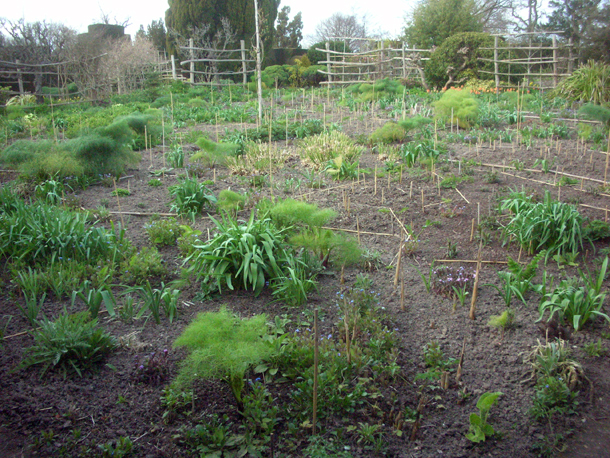 I worked in the High Garden topping up the main stock bed with more Ammi majus. I also did weeding and gently 'tickled' the soil over. This may mean we lose some of our seedlings, but it's so that we don't have to touch this bed for a couple more weeks and it helps keep the plants in check. I had to more purposefully thin out self-sown seedlings like honesty (Lunaria annua) and alliums though (probably 'Purple Sensation'), in block planted areas of things like Helenium and Anaphalis margaritacea var. yedoensis. Weather: It didn't feel like it but apparently the temperature went up to 15 - 16°C. It started off cloudy & windy, and then rainy. The sun did fully come out though after noon. 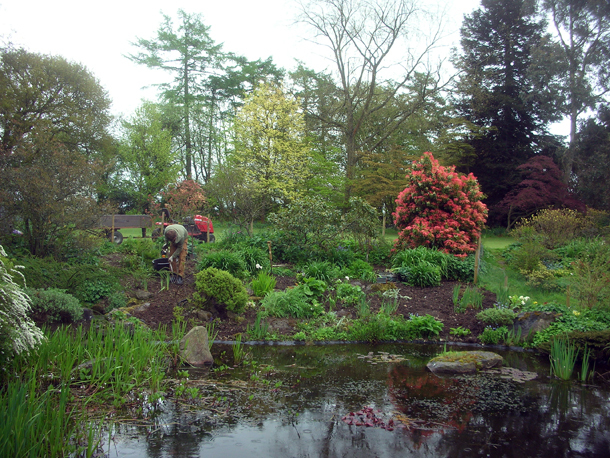 I worked with James to plant up an area in the Orchard Garden nicknamed Vietnam. This is an area where we're trying to create more impact and do planting that will catch the eye of people and entice them to walk around it more instead of past it. 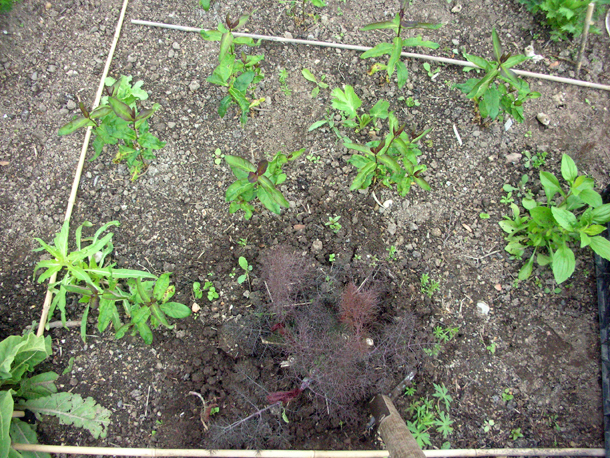 We did a combination of Rumex olympicus & some variegated Iris taken from a big clump already in the middle. Weather: It went up to 12°C. Cloudy to begin with but sun broke through in the afternoon, then the wind picked up and it became more chilly. Dahlias and cannas are coming out again and are being taken out of the cellar to be split if necessary and started to be grown on. 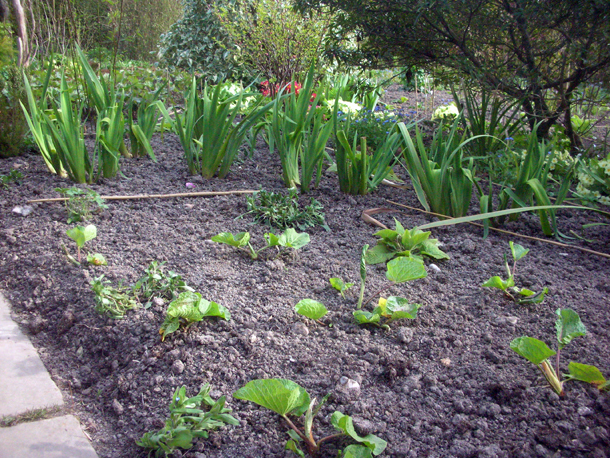 A fresh more bark based old soil mix is used. We try to keep them fitting exactly in a pot as much as possible and not in more soil than it needs - otherwise there's a chance they would shrivel/ rot away. I also went on Fergus's Succession Planting day. I am starting to truly understand that succession is not just about having plant interest all time of the year, but that one bed can change from light and airy, to fiery warm colours and have an enhanced transformation of height & space in one season by carefully chosen companions. 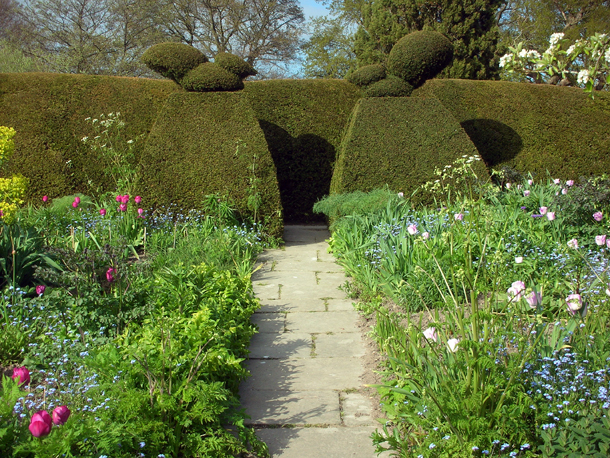 It is probably one of Fergus's most inspiring talks and what Dixter particularly excels at.